Which Facebook Ad Type(s) Should You be Using to Reach Your Goals? With statistics like these, it’s clear to see that Facebook ads are an effective way for you to reach new prospects where they are. 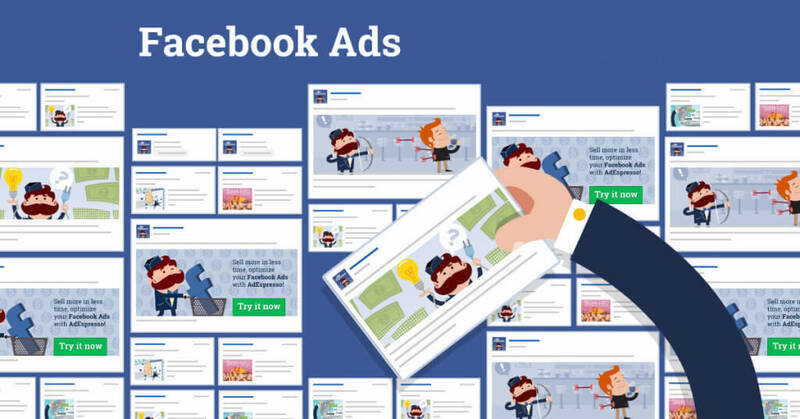 Did you know there are different types of Facebook ads? They now have more options for advertisers that enable you to reach new audiences and retarget previous site visitors back to your brand. But, as is often the case, with more choices comes more confusion. Which Facebook ad types are best for you? To answer that question, here’s an overview of each of the different Facebook ad types. 1. Brand Awareness Ads – Use brand awareness ads to introduce your brand to Facebook users. Make the ad captivating, so users will see it as they scroll through their news feed. The objective is to spark interest in your brand. Video is a good option for this one. 2. Website Conversion Ads – Think of this type of ad as a quick fix. While brand awareness ads aim for long-term attribution, this ad type encourages users to click on an ad to be directed to a specific page on your website for a specific purpose. Think “limited time only,” sign up for a newsletter, special sale, etc. 3. Lead Ads – This is a great option for inbound marketers because Facebook users can fill out lead generation forms directly within the Facebook app. 4. Lead Generation (Full Form) Ads – Typically with lead gen a user sees an ad on Facebook and clicks to be directed to a form on your website. They have to leave Facebook to access the form. This type of ad does away with that. With a simple click a form pops up. Once the user submits the form on the lead ad, they can click out of the ad and go back to browsing on Facebook. The data also integrates with your CRM. 5. Store Visits – Use this option when your objective is to reach users in a specific location. These ads target users in a specific geographic location. 6. Local Awareness – This option is similar to a store visits ad, but it works to drive brand awareness in a specific geographic region, similar to brand awareness but much more targeted. 7. Event Ads – You guessed it. This ad type works great when you have an event coming up that you’d like to promote. Use this ad type along with Facebook’s event feature to try to increase your attendance. However, if you’re looking to have users sign up on a specific web page, you should use website conversion ads. 8. App Install Ads – These ads are focused on generating new users. They highlight an app’s main functionality in the hopes users will choose to install. 9. App Engagement Ads – As the name suggests, these ads are designed to generate activity with your current users. App engagement ads are meant to generate activity two ways: by encouraging an app among your current users or highlighting app features for perspective users. The ad copy and call-to-action promote specific features rather than a download or install. 10. Clicks to Website Ads – This ad type enables you to direct users to specific website pages or blog posts. This type of ad has a variety of creative options available to it. 11. Offer Claim Ads – For these, you make an offer like grand opening sale, discounts, holiday specials, etc., and then direct users to a specific sign-up page on your website. 12. Page Like Ads – These are great for increasing your organic reach by asking users to “like” your page. Once a user “likes” your page, they will start receiving your organic content as it’s posted. This option works nicely along with other social platforms. And to get double duty from an ad, you can always include a “like page” option on any of the other ad types. 13. Post Engagement Ads – If you are a frequent poster on Facebook, you know which of your posts performed the best. This option allows you to take your top performing posts and expand your original audience by attracting interested users and showing them the kinds of posts they’ll receive if they follow you. Keep these different options in mind when you’re using Facebook to market your business. Chosen wisely, Facebook ads are an effective marketing option.